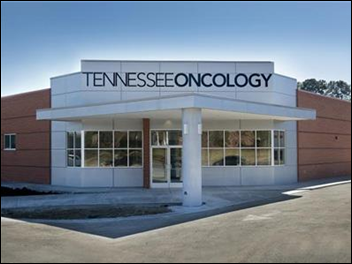 Florida Cancer Specialists and Tennessee Oncology select Flatiron Health’s OncoEMR and related technologies and support to assist them with their Oncology Care Model program efforts. The Arizona Board of Pharmacy selects Appriss Health’s PMP Gateway software to help providers and pharmacists integrate controlled substance prescription data into EHRs and pharmacy management systems. 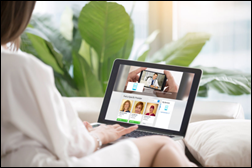 Brooklyn, NY-based Digital Noema Telehealth adds e-prescribing software from EazyScripts to its virtual consult platform for providers and pharmacists. University Health Alliance Health Insurance will offer DocNow’s virtual consult service to its 56,000 members in Hawaii. 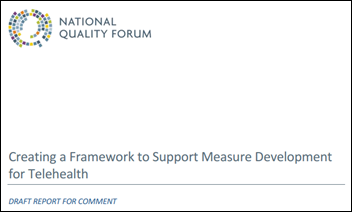 The National Quality Forum seeks feedback on a report outlining proposed measurement development for telehealth. 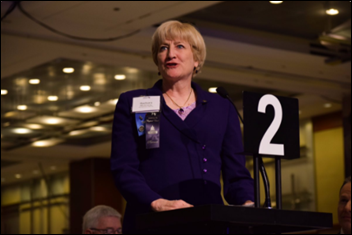 The 53-page document focuses on existing and potential metrics, ways to prioritize those metrics, and guidance for future measurement. Comments are due June 30. Medical billing company Encoda acquires the specialty-specific RCM services division of Tampa, FL-based MedCo Data for an undisclosed sum. As a result, Encoda will move its headquarters to Tampa and take on MedCo Data CEO Dan Rodgers as president. Its software development office in Blue Bell, PA and RCM services office in Carrollton, GA will remain in operation. InstaMed’s annual report on healthcare payment trends finds that physicians are concerned about the increasing responsibility/burden patients bear when it comes time for payment. Nearly 75 percent of those surveyed report that it takes over a month to collect balances. Exacerbating this statistic is the fact that only a third of patients claim to understand their responsibility when a co-pay or deductible is part of the payment mix, and that 74 percent of patients are confused by EOBs from payers and bills from providers. 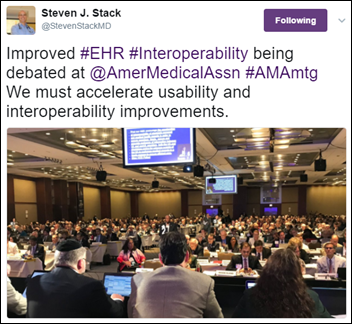 Former AMA President Steven Stack, MD sends out the first tweet I’ve been able to find mentioning health IT during the association’s annual meeting. 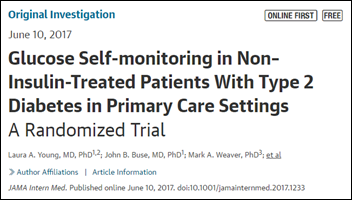 I suppose other, more pressing regulatory matters are on the minds of our nation’s physicians. I take that back. Health IT (and its role in personal health and wellness) is on the minds of some. 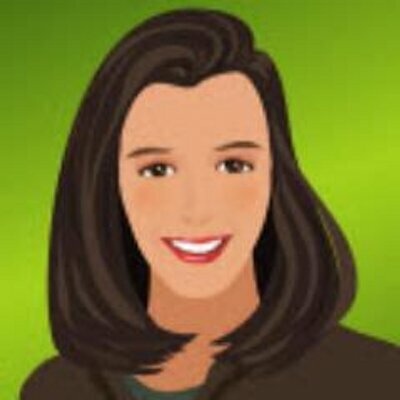 More news: HIStalk, HIStalk Connect.